It’s all fun and games in the new So Many Monsters online video pokie by Microgaming. You will meet a gang of startling but absolutely friendly little monsters and they are the stars of the game. This game is a truly unique experience. It is full of fun – in stark contrast to the recent movie slots. Despite a light hearted theme, there are still hundreds of opportunities to win. With 25 paylines, 16 free spins, High Symbols, and a special Many More Monsters special feature, playing So Many monsters is the perfect way to have some fun and win some awesome payouts in the process. So Many Monsters is abundant in winning opportunities. In addition, it has been designed on 5×3 spinning reels and contains 25 paylines. The game does not have a progressive jackpot but there is an exciting on screen Many More Monsters Split feature which creates more opportunities for you to win. It occurs in the both the base game and the free spins features. The free spins are triggered by 3, 4, or 5 scatter symbols. You will be presented with five free spins options out of which you must choose one. Each of the five options contains a high symbol which replaces all other high symbols plus a unique number of spins and coins. 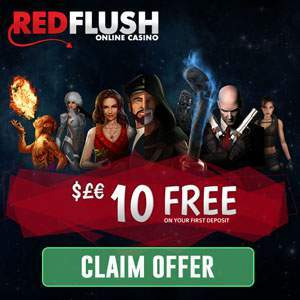 Free Spins option 1 awards eight free spins and 160 000 coins per line. Option 2 awards 10 free spins and 140 000 coins per line. Option 3 awards 12 free spins and 120 000 coins. Option 4 awards 14 free spins and 100 coins per line. Option five awards 16 free spins and 80 000 coins. There is also a wild symbol and a scatter symbol. The wild symbol substitutes for all symbols except the scatter symbol which pays in any position. These wins are multiplied by the total bet and add to payline wins. The ‘Many More Monsters split’ features in both the base game and the free spins. During the feature, any High Symbol that completes a winning combination can split to form a maximum of five of itself, resulting in a possible 25 symbol win on one payline. The free spins bonus choice is triggered by 3 – 5 scatters. You will have to choose between the Options listed above.